1. What did the people call the house they built for God? 2. What did Eli the priest teach the people who came to the Temple? a) He taught them to pray and worship. b) He taught them to live for themselves. c) He taught them how to cook. 3. 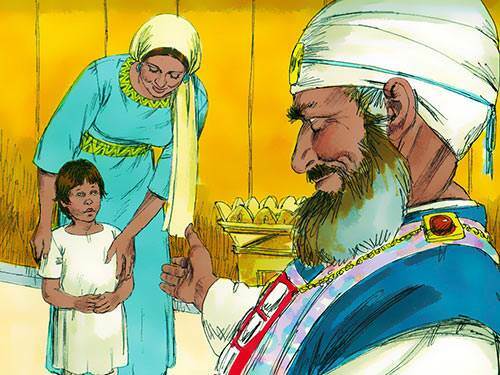 What did Hannah, the mother of Samuel, request Eli to do? a) Please feed my boy. b) Please teach him how to play baseball. c) Please teach him how to serve God in this Temple. 4. What did Samuel love doing most of all? a) Helping in the Temple. 5. What were some of the jobs that Samuel may have done? a) Gathering up golf balls. b) Dusting and sweeping the Temple and filling the lamps with oil. c) Gathering up tent pegs. 6. What did Samuel do every night and morning? a) Closed and opened the Temple doors. b) He went out to play. c) He met some boys for a baseball game. 7. When the voice called to Samuel the last time, what did Eli advise the boy to say? a) "I don't have time to listen now." b) "I need more time to think about it." c) "Speak, Lord, for your servant is listening." 8. Did Samuel listen to God? 9. What made Eli so very glad? 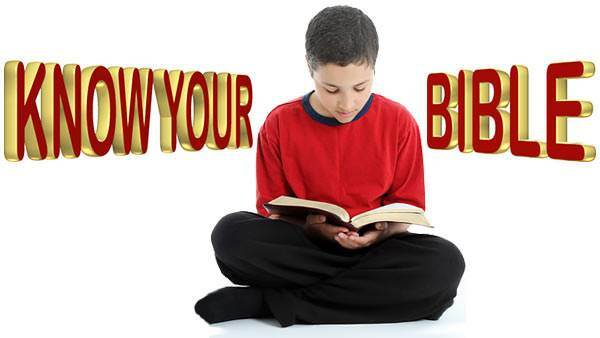 a) Samuel had been quick to hear God's voice and would become a faithful servant of God. b) Samuel was learning how to clean the Temple. c) That Samuel was a quick learner.